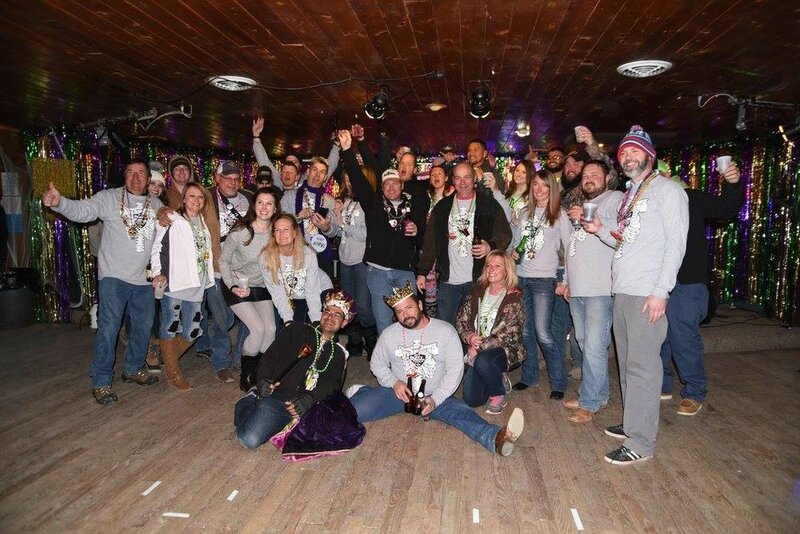 Being part of a Krewe is a wonderful way to celebrate Mardi Gras in the Mountains like a local! You can join an existing Krewe or create your very own with friends and family. As part of a Krewe you can participate in the Mardi Gras Parade down Main Street and the Krewe Balls! Contact our office at 575-754-2366 or email us at rrinfo@redriverchamber.org for more information! 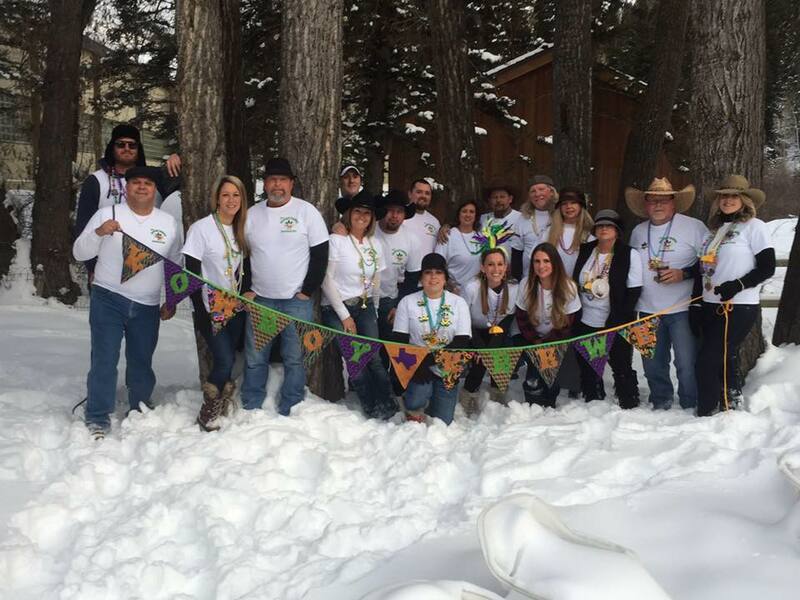 The KOWBOY KREWE FOUNDATION began as a group of good friends who traveled every year to ski in Red River, New Mexico for Mardi Gras in the Mountains. We started an official ‘KREWE’ for their annual celebration and grew our membership year after year. On January 2014, one of the original KREWE members was diagnosed with a very rare form of Cancer. KOWBOY KREWE member, Ralph Baisden, passed away only 4 short months later. This was something so unexpected, none of us could have ever imagined it happening to our friends, let alone to our very own KREWE member. This is when our KREWE of friends grew even closer. With the help of all the KREWE members, family, friends, and even friends of friends, and complete strangers, our first event raised over $50,000 in one night alone. This was only with the help of so many caring people. This is when we realized we had the ability and means to do this for others less fortunate. This couldn’t have happened without each and every one who participated and made it happen. Losing our KOWBOY RALPH changed our lives in more ways than we ever thought possible. No one expects this to happen to them or anyone they know, but it happens every day and it could happen to someone you know or even you. KOWBOYS THAT CARE: OUR PURPOSE IS TO HELP & SUPPORT OTHERS IN UNEXPECTED TIMES OF NEED. We are a KREWE of Great Friends that want to give back to those in a difficult times. The KREWE can only achieve our goals with the assistance of your generous donations. Without your donations, serving others in their time of unexpected need would not be possible. With your help in our NON PROFIT FOUNDATION, we will be able to help so many in return. Five or Ten dollars won’t make much difference in your life, but it will make a big difference in someone else’s in a time of need. Even small amounts help- and larger amounts help even more. A group of wonderfully twisted individuals, gathering together to celebrate Mardi Gras In The Mountains in a manner that would wake the dead.